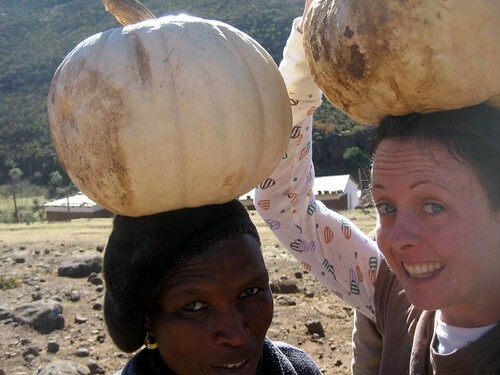 Nokulunga & me carrying pumpkins after a visit to a VHW garden. 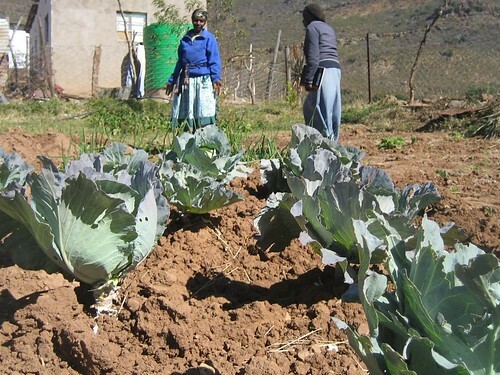 ASAP has funded over 90 permaculture gardens with the village health workers of Hlomelikusasa. “Funding a garden” means providing an intensive course in permaculture training with our one and only expert: Nokulunga Mzobotshe. After 2 sessions of week-long training (which covers nutrition information, gardening techniques, and methods for a sustainable organic garden) those village health workers are supplied with gardening equipment, fencing, tools, seeds, and the much coveted item: a water tank. We’ve been to a lot of gardens recently, and I wanted to give you a taste of some of what we’ve seen. Bare in mind: it is winter, and winter is the dry season. 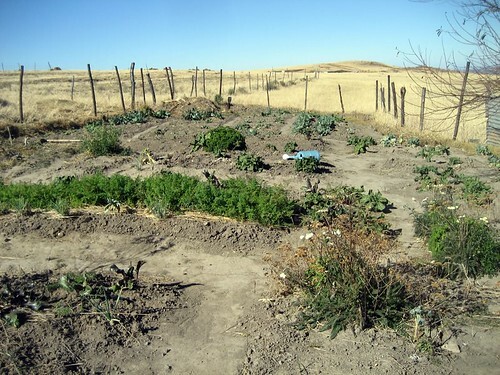 Some areas have not had rain in over 2 months, and their gardens struggle as a result. But some are great. Along with the pictures, I’m including Nokulunga’s brief reports that she sends in to Priscilla. Nomagcwanini has a very beautiful and interesting garden with spinach, beetroot, cabbage, carrot, turnip, onion, parsley, and peas. A mulch pit has been put in the garden, compost heaps, and an organic tea made up of chillies and water to chase away the insects. She has also done intercropping throughout, and there was an extended area in the back of her garden in preparation for potatoes. Eggs from Flora Mcosini's chickens. Flora’s garden is very poor because of drought. Her cabbage is lousy because it has been eaten by chickens. There were also poor tomatoes, spinach, onion, turnip, and chillies. For medicinal plants she had cancer bush, vertiva, insect repellent, comfry, and tanzy. She has chickens, also, and they were producing eggs, but not very many. I told her to get the laying mesh for her chickens to help them produce more eggs. Alexandria had a very beautiful garden. It was a very green garden. Every vegetable was mulched, the seedbeds were prepared. She is not cooking, just assisting a child headed family with vegetables. 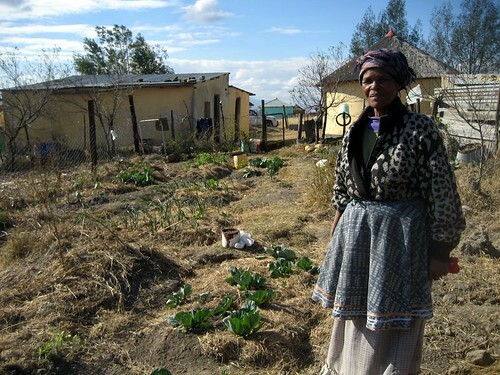 Her produce included spinach, cabbage, carrot, chillies, peas, pumpkin, strawberries (which have stopped producing now because of the drought). She is using grey water from the kitchen to help keep everything green. Vivienne Nongqotho w/ Nokulunga and lots of cabbages! Vivienne had a marvelous garden with cabbage, spinach, carrot, turnip, onion, parsley, potatoes, wild garlic, pumpkin, melon, fruit trees like lemon and orange. 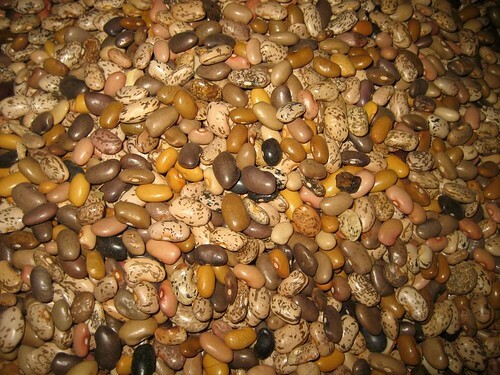 Also, fantastic harvest production—there were mountains of beans inside her home. 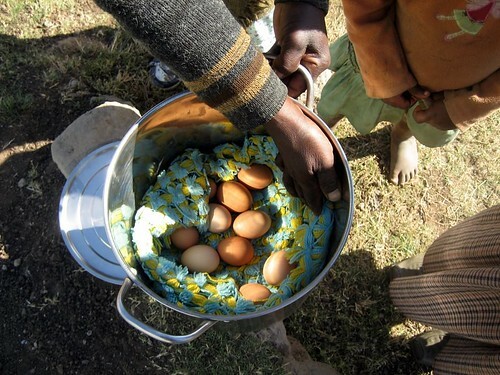 There were a lot of eggs from her indigenous chickens, but they are her own, not given to her by Hlomelikusasa, as well as ducks and geese. She is not cooking (for any OVC), but said that she gives the vegetables to the families in her area. I suggested that she teach them her methods so they may try to duplicate at their own homes. That’s awesome! I just wish we could send them some of our rain water, we seriously don’t need any more here and you know how I hate to hear about lousy cabbage! I agree with India, we could do with sharing out the rainwater. I have a much greener, but much less productive garden, those cabbages look great to me. Wow! In winter, in drought, what they do is amazing. And Alex, you look very fetching wearing a pumpkin on your head. It’s a look that I hope you’ll bring back with you. I want to dive into the mountain of beans!!! And I’m REALLY sick of eating that massive pumpkin! Go Nokulunga! Go Alex and Andy! And a free trip to Mount Frere for whoever can guess how many beans there are in that pile.